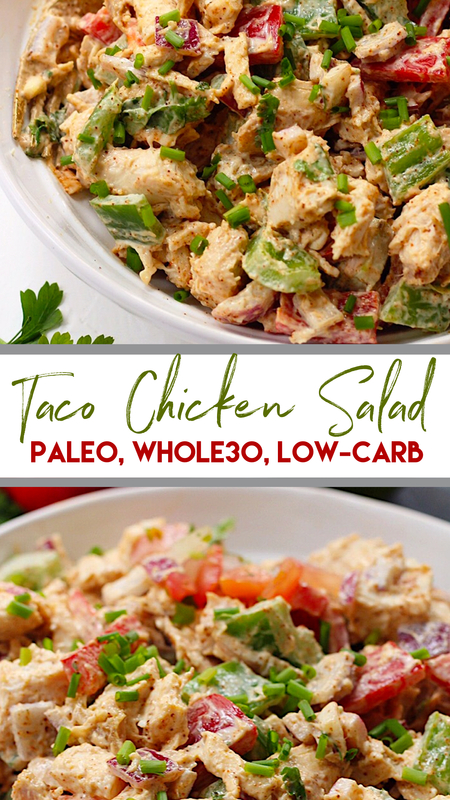 One thing I love most about this Paleo chicken taco salad is how quick it is to whip together. 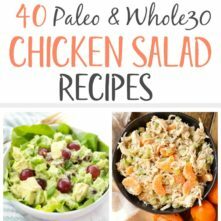 After weeks of always prepping a regular chicken salad with the traditional ingredients, like mayo, grapes and celery, I needed to change it up. That’s when I started playing with different seasonings and veggies to add. 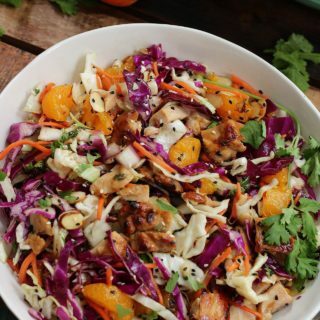 It’s also a really great way to use up leftover chicken or a rotisserie chicken! I basically took the taco seasoning I use in my chicken taco soup recipe and mixed them in with the mayo here. Most mayo brands at the store aren’t Whole30 or Paleo. You’ll either have to make your own mayo, or pick up a compliant option. 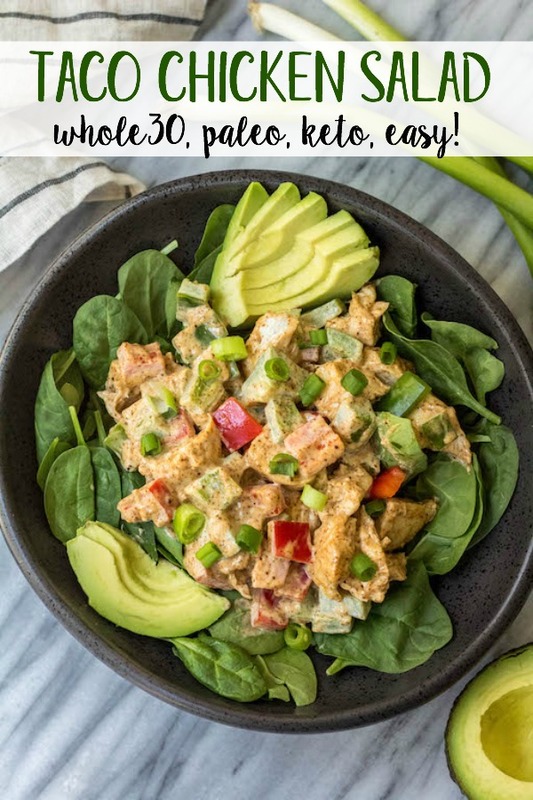 Primal Kitchen (code PALEOBAILEY for 10% off) has an awesome one made with avocado oil. You can get it from stores like Whole Foods, from Amazon, or Thrive Market at a cheaper price. 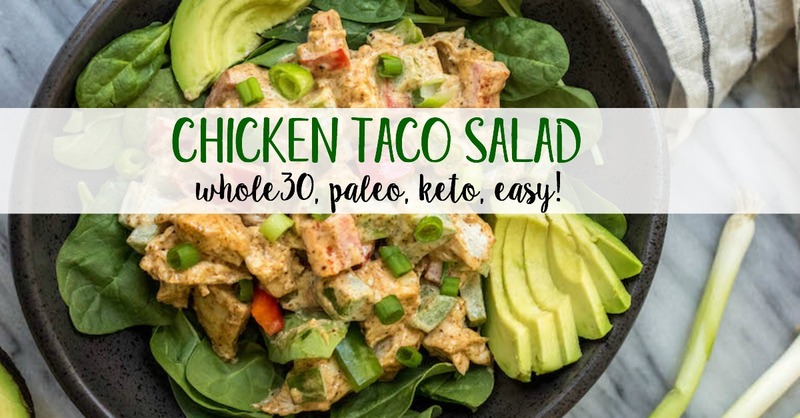 I also love adding avocado to the Paleo chicken taco salad. But make sure to do that only once you’re ready to eat. Brown avocados, while totally still good, are just less appetizing, you know?! This will last in the fridge for up to a week in the fridge in an airtight container. 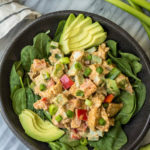 That makes it something I like to keep on hand for easy lunches, quick protein or to make ahead before a party or event. 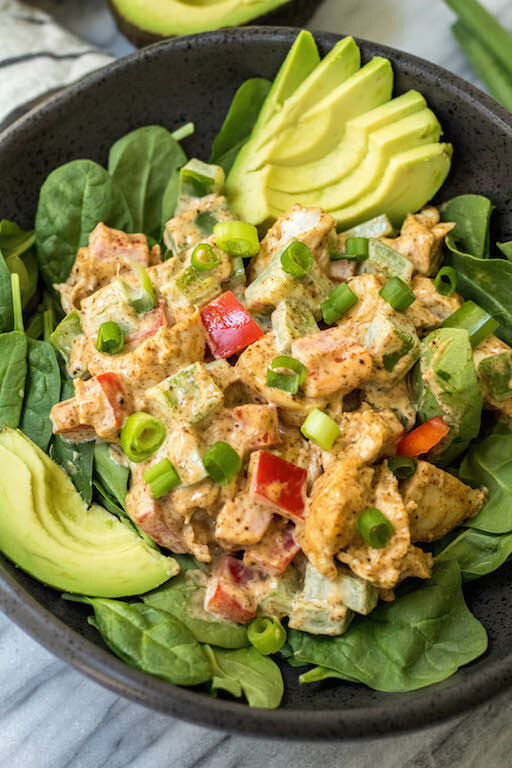 For an additional way to add a ton of flavor to this salad, try it with grilled chicken instead! UGHHHH! Thank you SO much for letting me know. I could just hug you. I’ll be sending a DMCA takedown notice to their host ASAP! I appreciate you! So glad you love it! It’s one of my favorites! 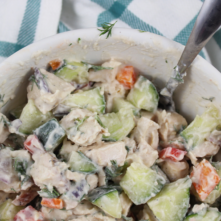 This is THE BEST chicken salad. My family ate it all and asked me to make more the next day! Awesome! Currently eating it out of the bowl as we speak. Great way to use up the rotisserie chicken. I made some mayo just to make this recipe! I made this and used Penzey’s chicken taco seasoning and Primal Kitchen Chipotle Mayo. It was delicious!! Thank you. Lunch today for sure! Trader Joe’s Mayo has no sugar. Awesome!! Thanks for the tip, Carol! Sounds amazing…I’m going to make this next week. How long do you think it will stay fresh? Thanks for sharing! What is chipolte powder? 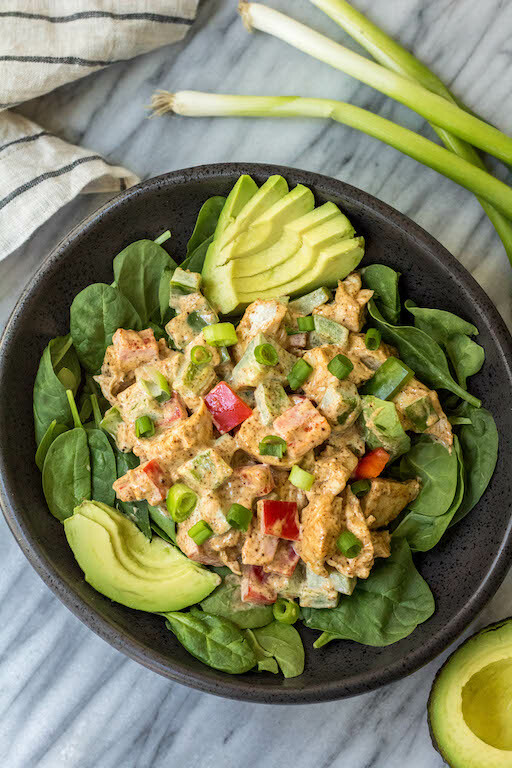 This is the BEST chicken salad I’ve ever had! 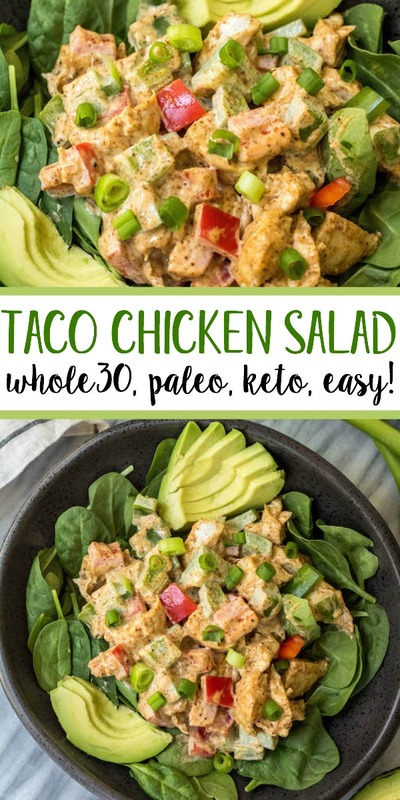 Made it while on whole30 but this is going to be in my regular rotation year-round!